Energy efficient living in this spacious home. Home with room to breathe in and out! Rear yard boasts deck and entertainment area with shed for extra storage. Large wrap around porch for rocking chairs and iced tea. Walk inside to large mudroom, dining room, kitchen and living room. A home completely refinished in 2010 makes for updates all around. Upstairs, find the master bedroom (and master bath complete with Jacuzzi tub), and two additional bedroom with a full bath. 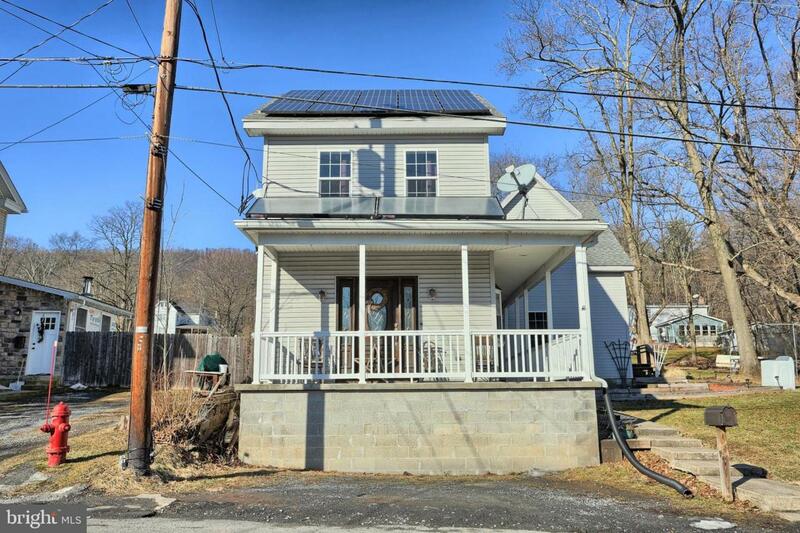 You will have lots of room to grow in this home, all while living with your very own SOLAR energy source and GEOTHERMAL heating/cooling. This is the home you have been looking for!